Videos that autoplay with sound online are a major annoyance. Mozilla is looking to do away with these online inconveniences, which is why the company has announced that the latest Firefox 66 release available today blocks autoplaying content by default. You can find autoplaying videos with sound on just about any kind of website these days, whether it is news or entertainment. 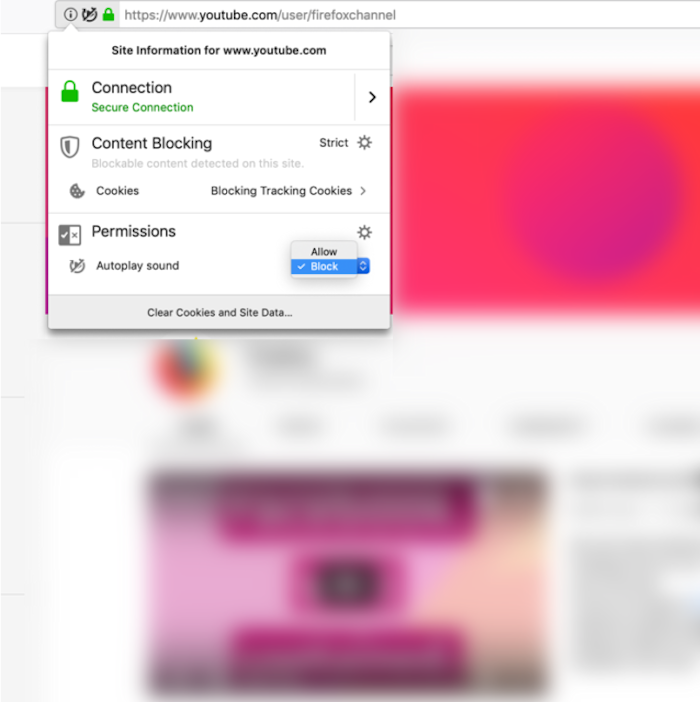 Firefox 66’s Block Autoplay feature stops the video and audio from playing automatically. If you want to watch the video, just click on the play button. Some social media platforms have autoplaying videos but they automatically mute the sound. The Block Autoplay feature will not stop the video from playing on these websites. When users visit a site that has a potential security issue, the browser shows a security warning so that you know. These warnings have been updated to be simple and straightforward on why that site might not be safe. This is a feature that many will appreciate. This release also adds biometric support for Web Authentication using Windows Hello on Windows 10 as well. With the upcoming release of Windows 10, users can sign into compatible websites with facial recognition, a fingerprint, your PIN or a security key. More great additions.